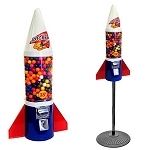 As a child, how many times did you put money into a vending machine whether it was for candy, a toy, or something else? 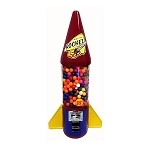 Just imagine how many of your customers today will walk by a gumball or toy selling machine and add money. Take a chance on possibly increasing your sales numbers by placing a retailing vending machine in your business. Include in the busiest part of your store like at the entrance, or in the front of the store when customers check out right before they exit the building. This is a great opportunity to earn a little extra income, generate fun for the little ones and add to the memories for adults too. 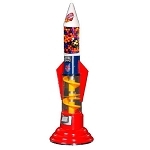 This entertainment is inexpensive for your customers while you the retailer only need to worry about restocking inventory with items like small trinkets and toys, delicious candies, round bouncy balls. Don't forget to empty the change box and cash in on this potential income possibility. 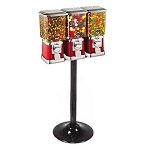 Gumball candy machines fit in any department, and any type of business or service area. Easy to maintain with little to no effort. Come and check out our selections of vending machines today!